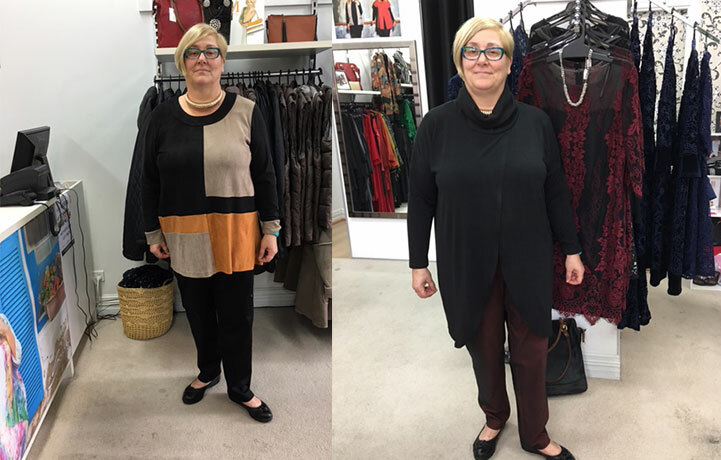 When you Google Swish you get ‘Plus Size Clothing: Swish Fashion Australia's most loved boutique plus size clothing brand for women, sizes 10 to 26. Shop for plus size tops, plus size dresses or plus size evening wear’. I am so pleased that I discovered Swish as the designs are unique, although I do have colleagues who now wear Swish fashions, and we can recognise when each of us is wearing a Swish design. As I have mentioned before, visiting the Swish Fashion store in Orange on a Saturday morning can be quite a social event where we meet real women of all shapes and sizes. Customers get talking and admire each other and comment on each other when we try clothes on, and the staff always give real comments, not flattery. I met a lovely lady on Saturday who was trying to find pants long enough for her, and I stupidly said ‘you are tall’. She seemed quite offended and said ‘I am aware of that, and you wouldn’t have said ‘you are fat’’. So I apologised profusely for making such an idiotic comment. We got talking about funny names women inherit, or marry into. I once worked with a woman called Susan who married a Mr. Carey, and took his surname, which some considered quite scary!! I went to Primary School with a girl called Annette Kirten, which seems very unfair of her parents, and another called Petra Dent, which isn’t quite so bad, but does sound like something used to clean false teeth! My mother convinced me that the first name of my swimming teacher Mr. Sudden was Oliver, and he was most annoyed when I got up the courage to call him Oliver as his name was really Tim. My dear mother always wanted me to marry a Mr. Lifeboats so I would be Mandy Lifeboats or a Mr. Water so I would be Amanda Water. I googled what the word ‘swish’ means, and as an adjective it is ‘impressively smart and fashionable’. Synonyms for swish include: stylish · smart · elegant · chic · crisp · dapper · spruce · trim · debonair · well-dressed · well-groomed · tasteful · understated · attractive · flattering · fancy · fashionable · high-fashion · modish · voguish · modern · up to date · up to the minute · ultra-modern · contemporary · designer · à la mode · soigné · trendy · in · with it · now · hip · sharp · snappy · snazzy · classy · natty · nifty · dressy · spiffy · sassy · kicky · as if one had just stepped out of a bandbox. I’ll be going back to work wearing my latest Swish outfit looking nifty and as if I have just stepped out of a bandbox (whatever that is)!